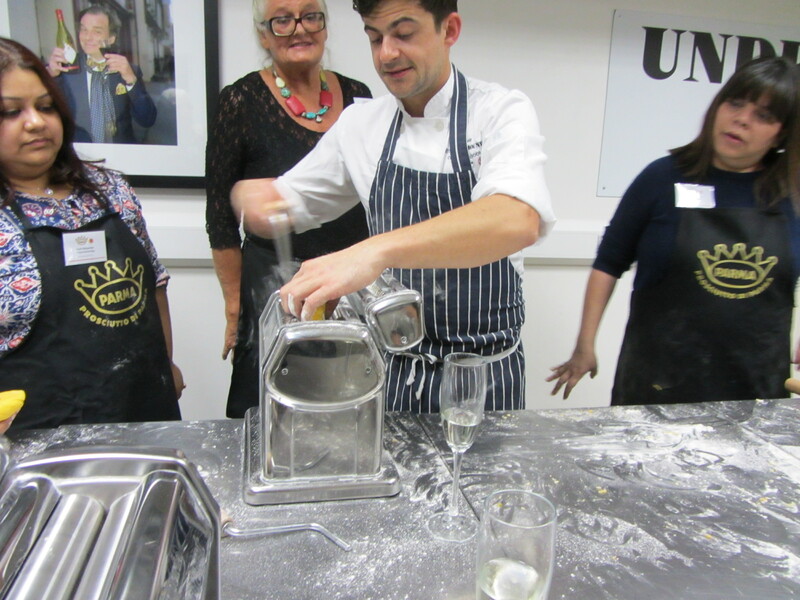 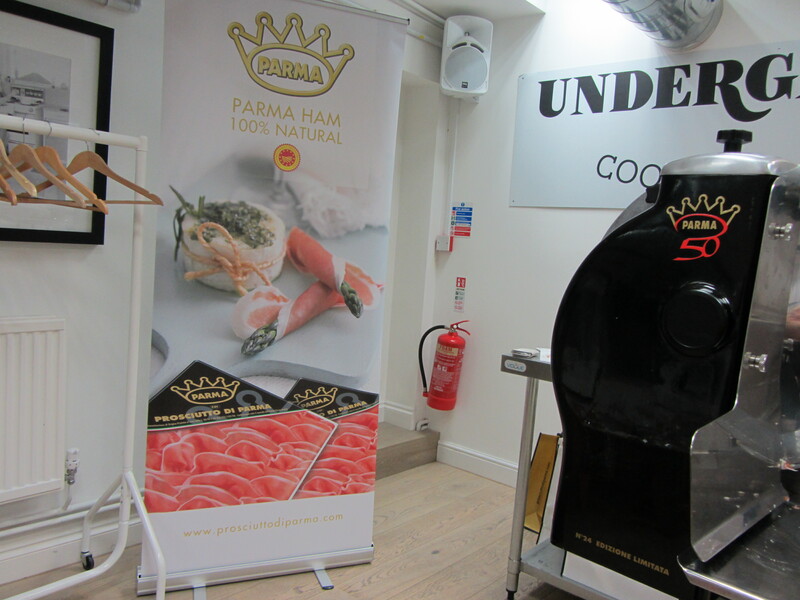 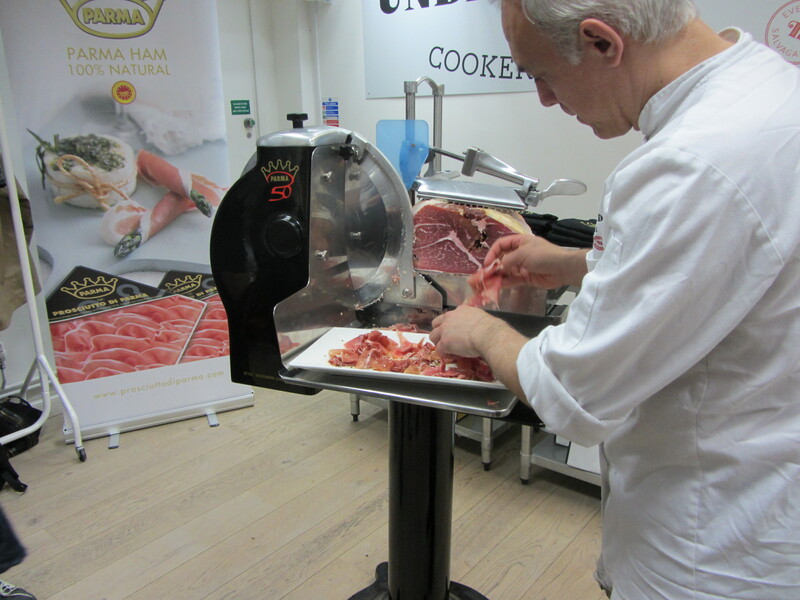 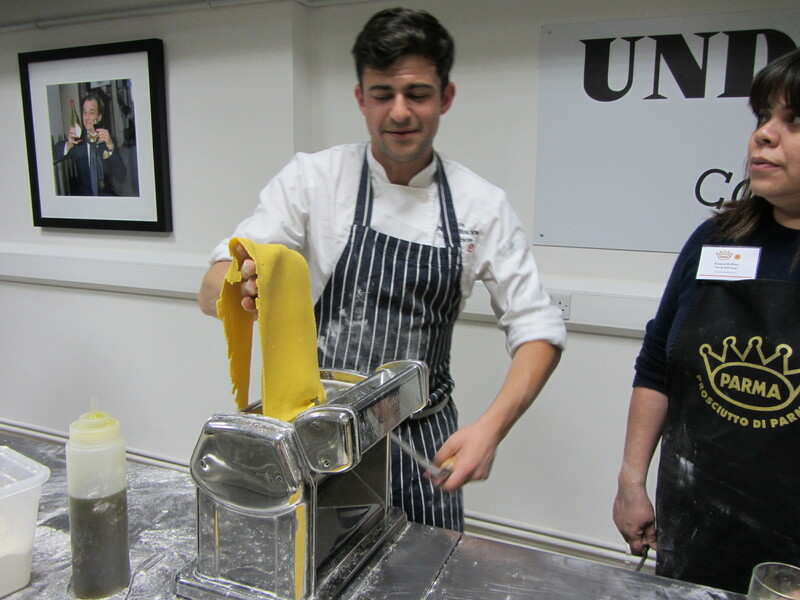 Parma Ham invited me down to the underground cookery school to showcase their delicious Parma Ham. 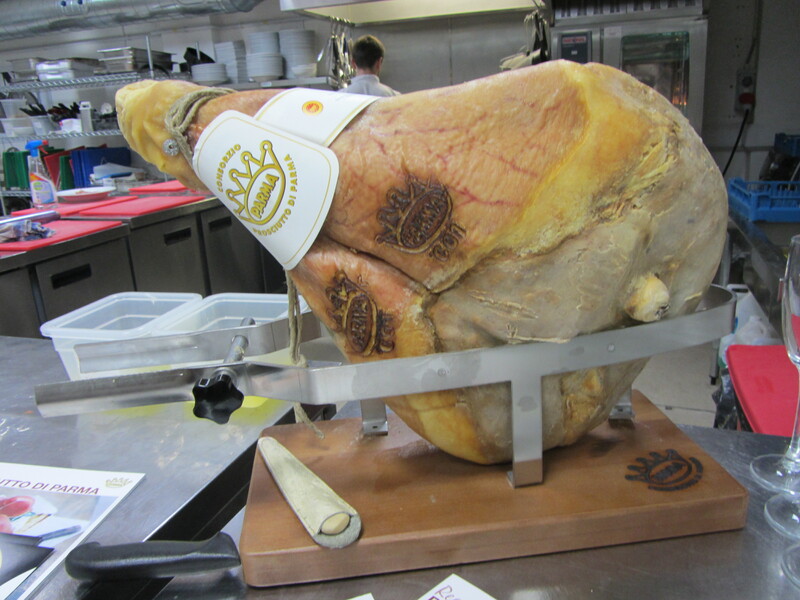 By law Parma Ham can only be produced, in the Parma region using pigs born and bred in Italy. 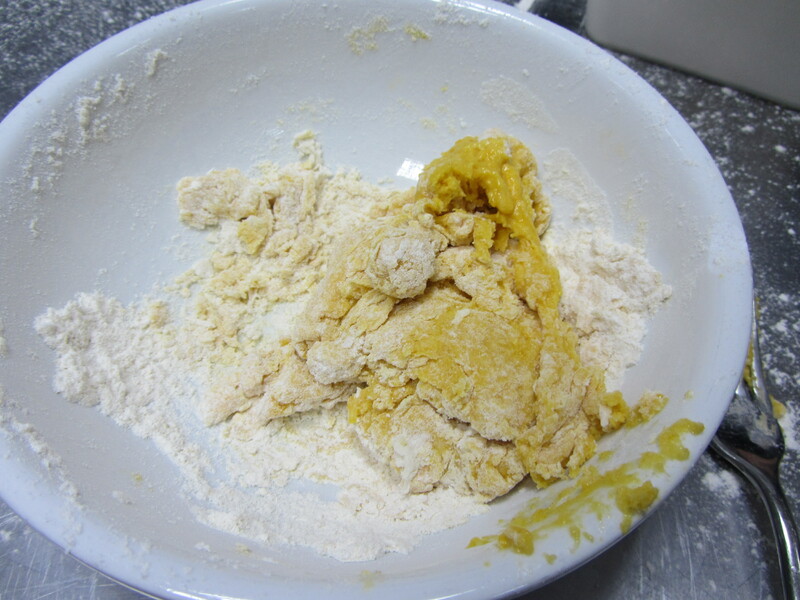 It is also low in cholesterol and high in protein. 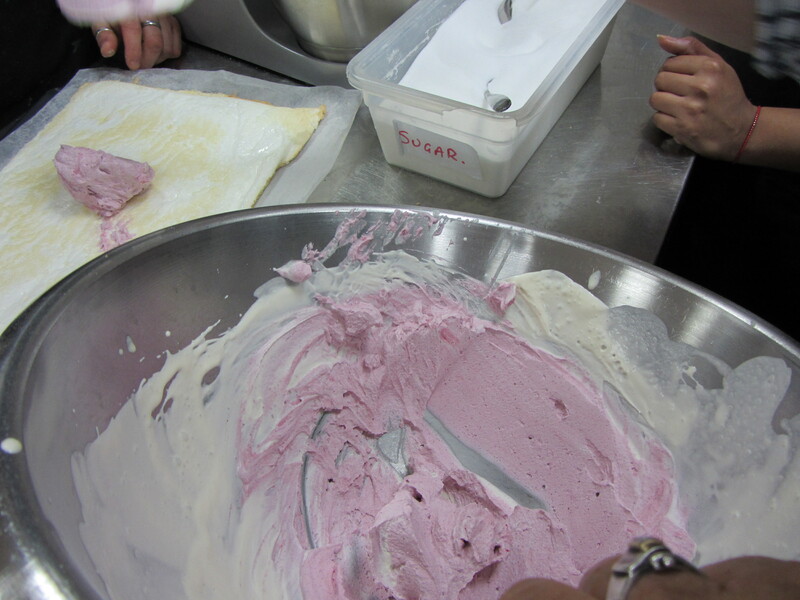 It is good, healthy and completely natural, the only added ingredient is pure sea salt. 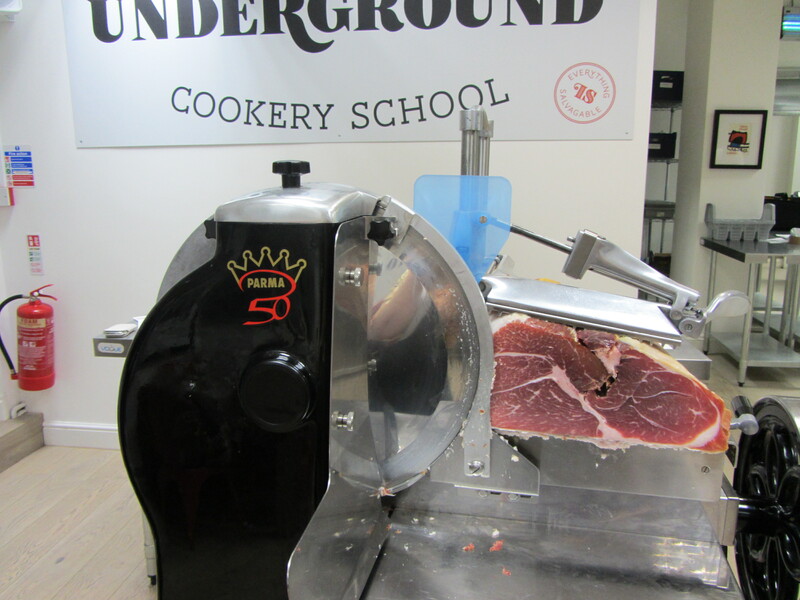 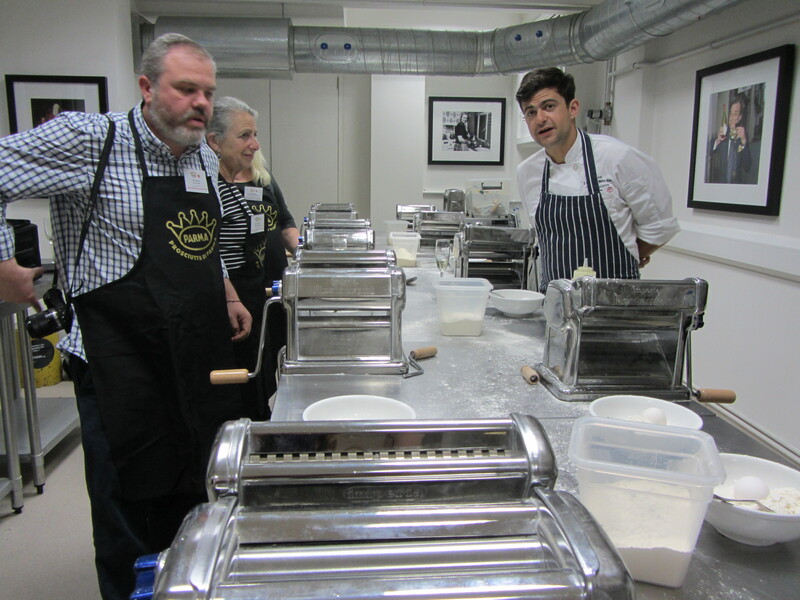 This is the second time I’ve been to the underground cookery school to learn some new skills. 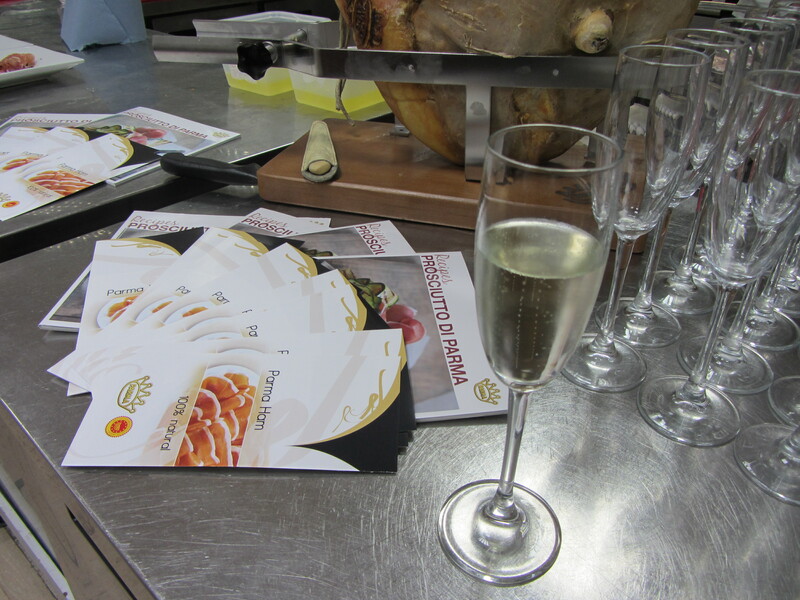 Upon arrival I had a glass of prosecco, with a beautiful array of appetizers all with Parma ham. 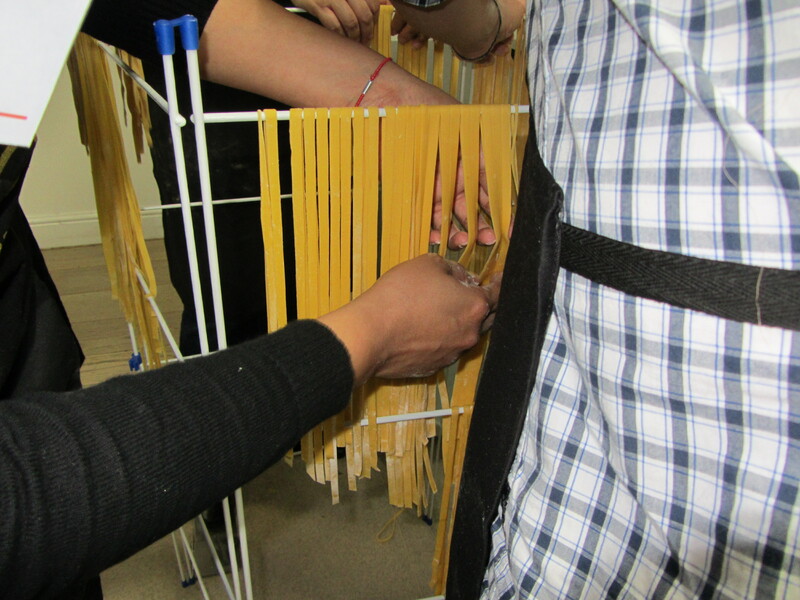 We were told we had to prepare for our own meal, first up team 1 went over to the station to create our own tagliatelle from scratch. 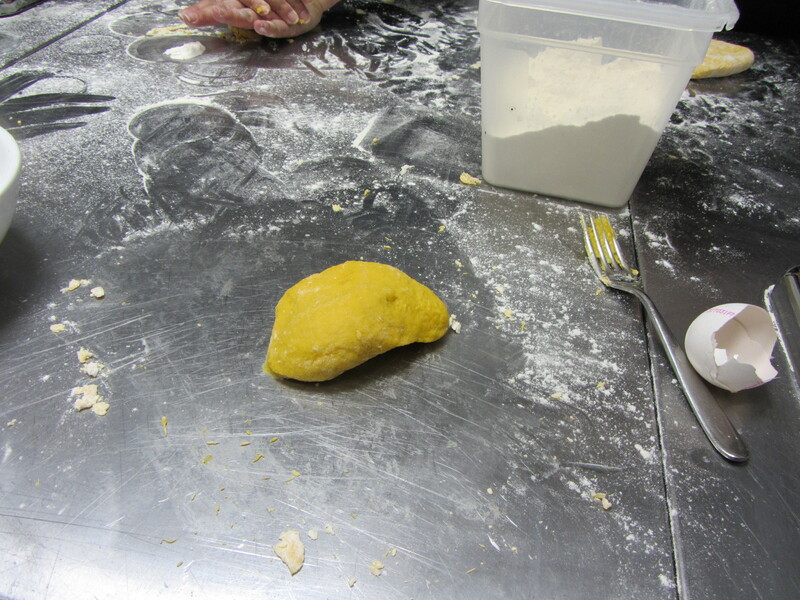 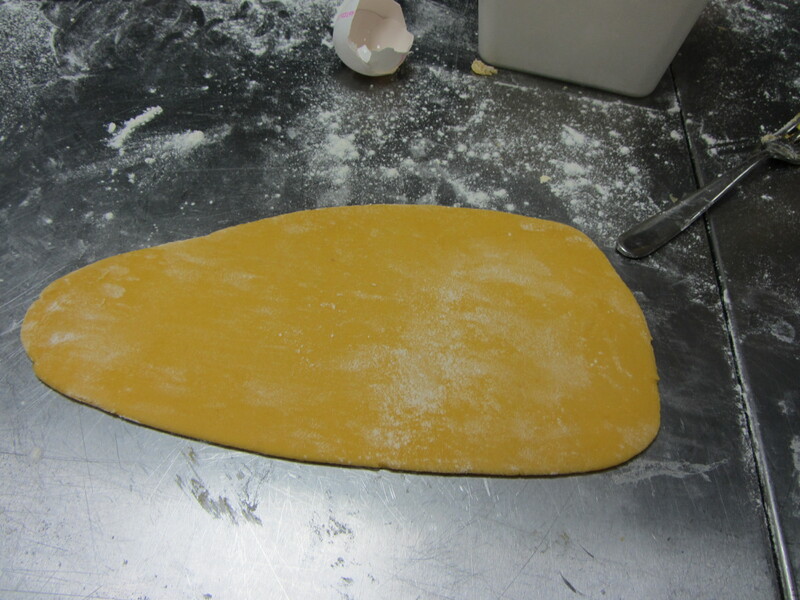 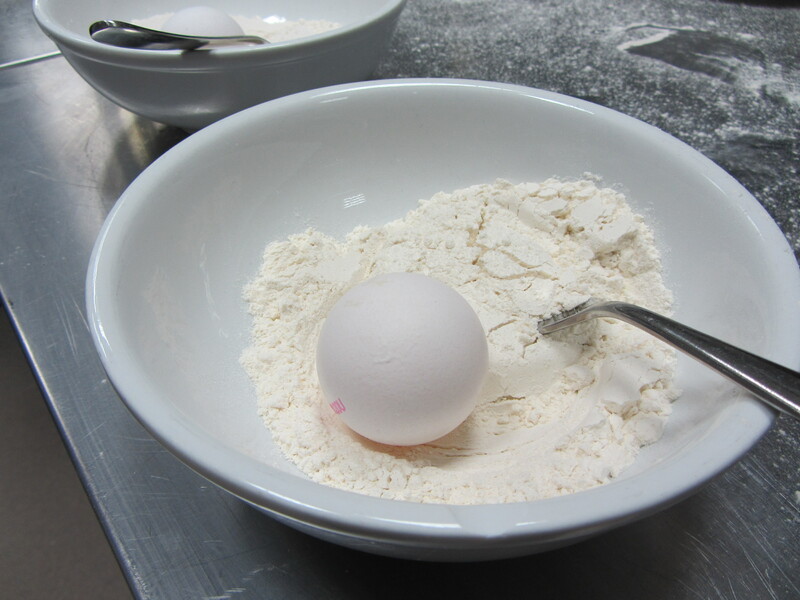 The ingredients are simply just flour, egg and salt. 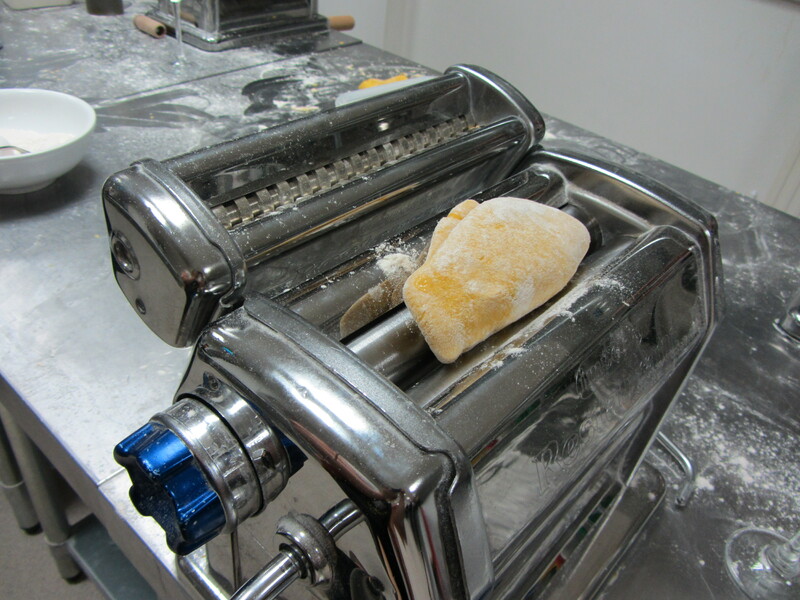 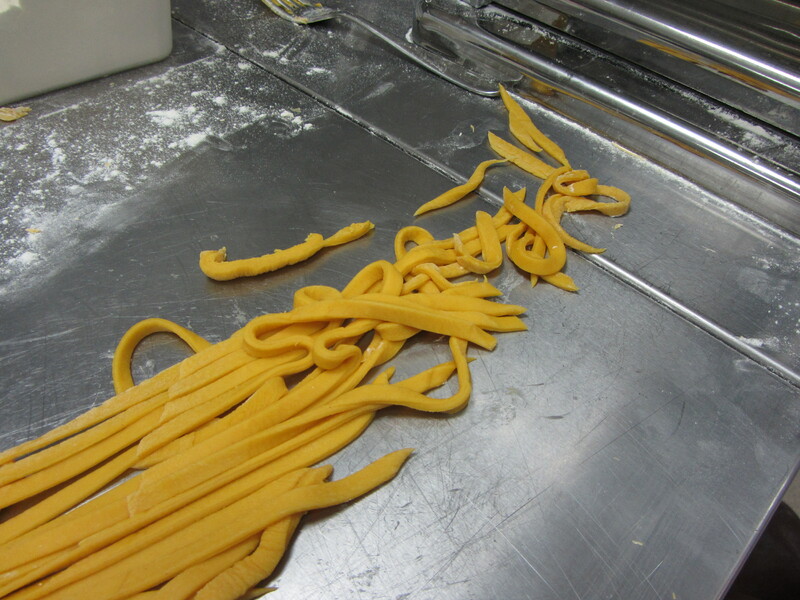 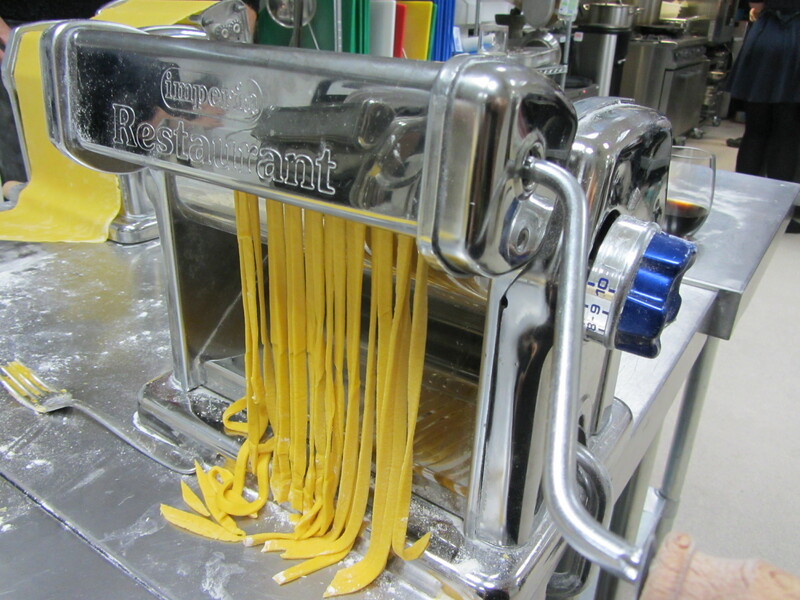 Rolling the dough around we finally put it through the pasta making machine and created long thin ribbons letting it air dry. 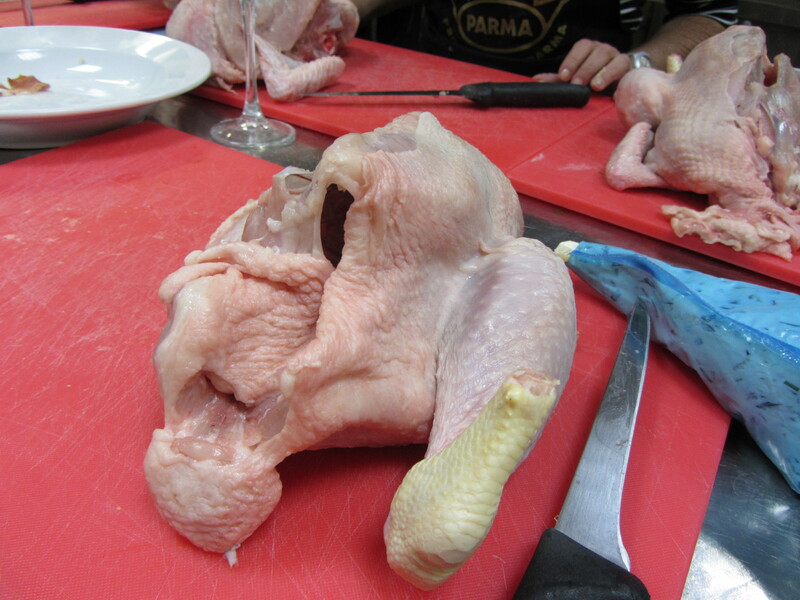 The next station was to cut up the chicken, I was proud this time round I made a clean cut. 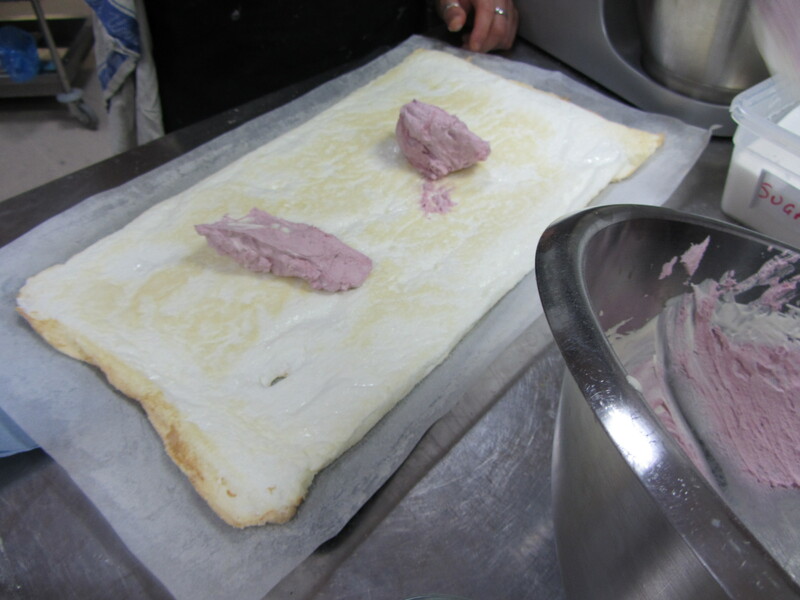 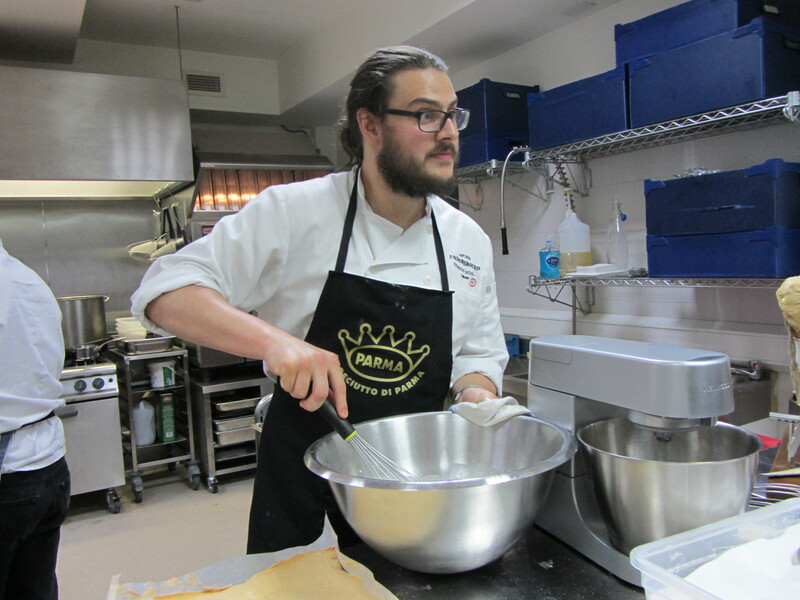 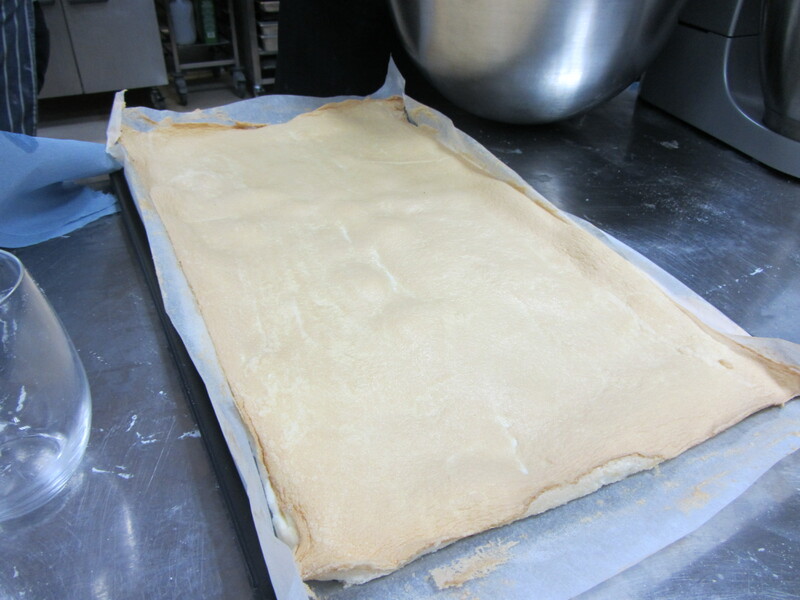 We hovered over to watch our desserts being made, a meringue roulade. 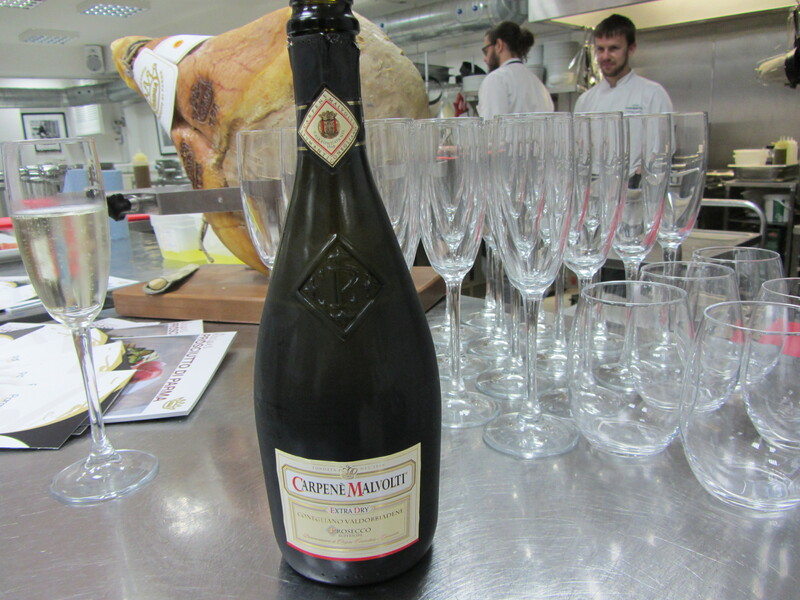 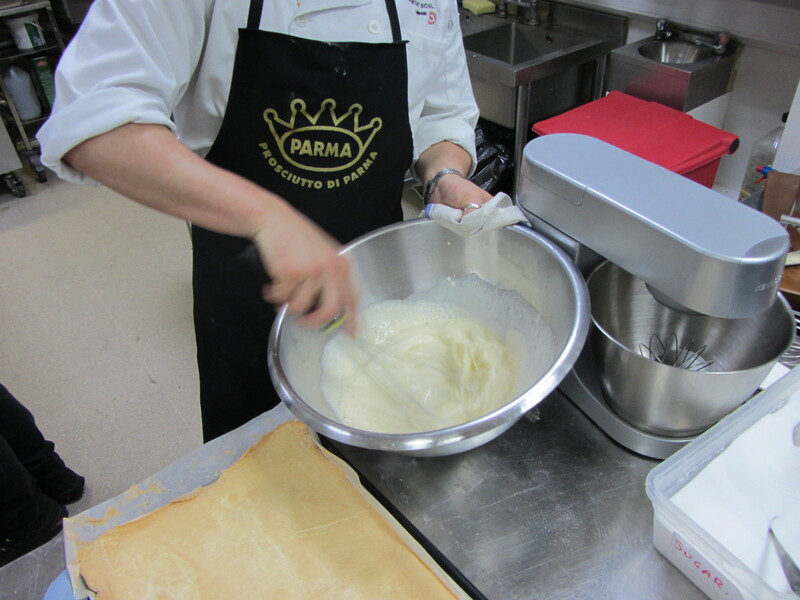 We then waited for the rest of the dinner to be prepared; everything contained Parma ham including desserts. 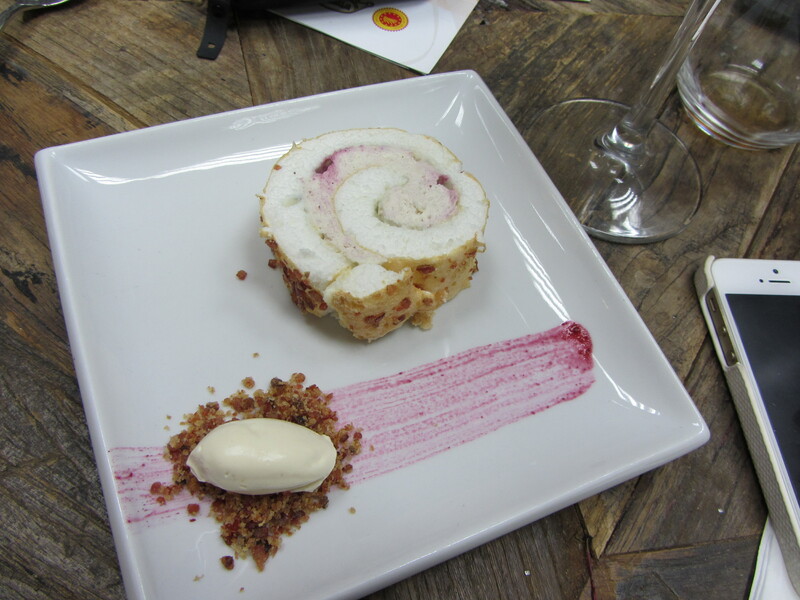 Yes, the sweet meat was turned to candy for our meringue roulade. 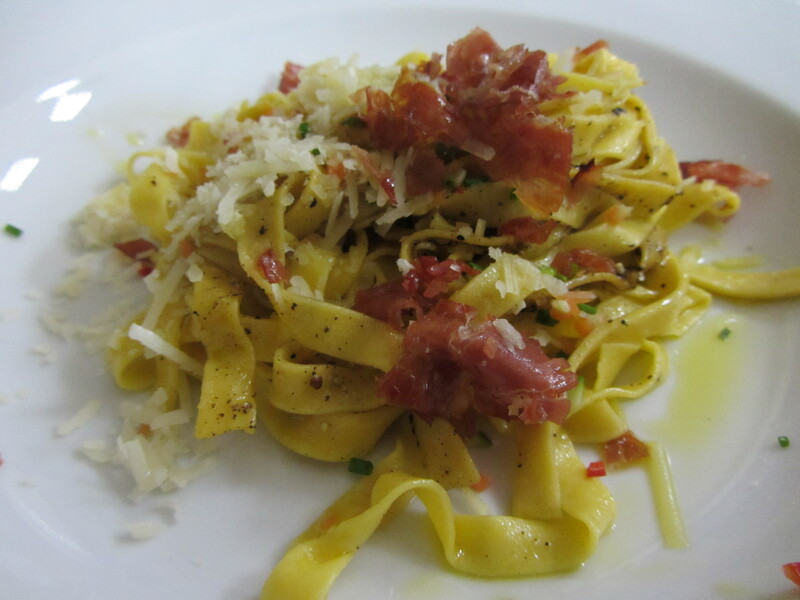 The entrée dish was the thin ribbons freshly made pastas, with the enticing white truffle dressing, with slices of Parma ham and parmigiano reggiano was total heaven on the fork. 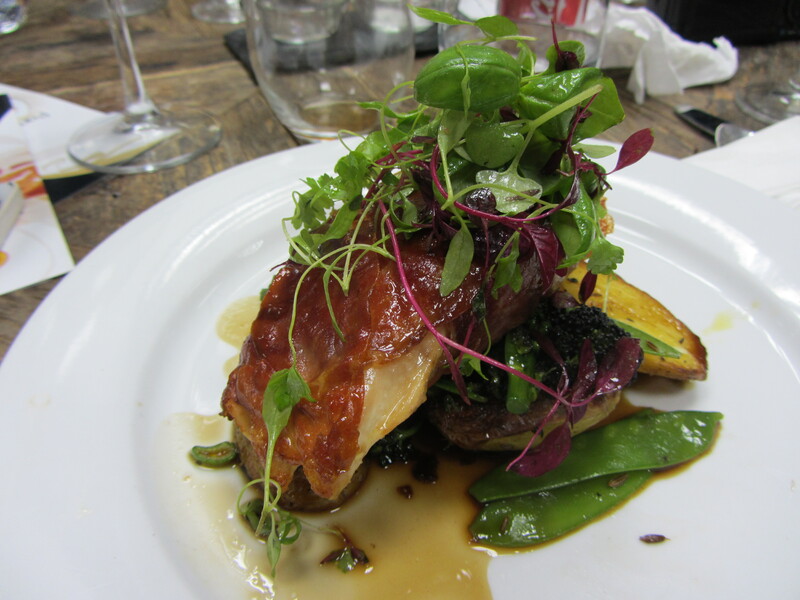 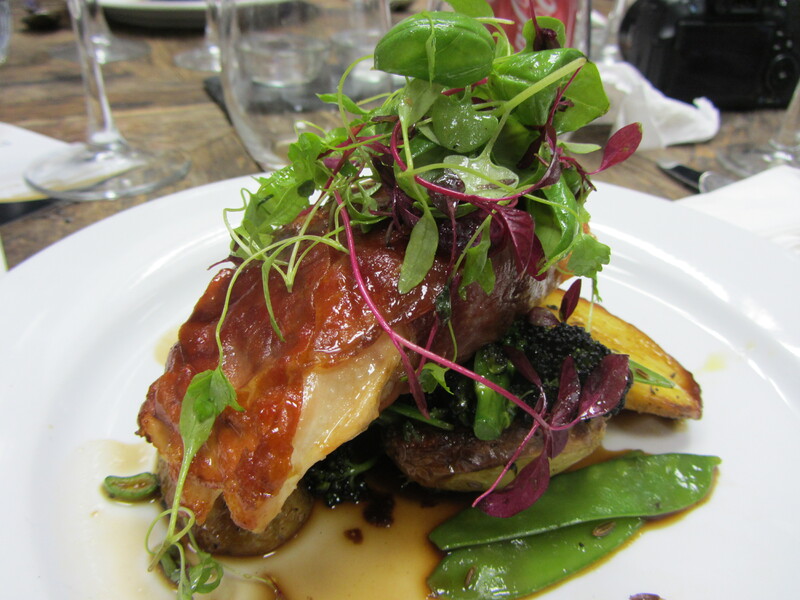 The main dish of roast chicken, wrapped in Parma ham stuffed with tarragon and cream cheese was gulp worthy, hauntingly flavoured from the Parma ham. 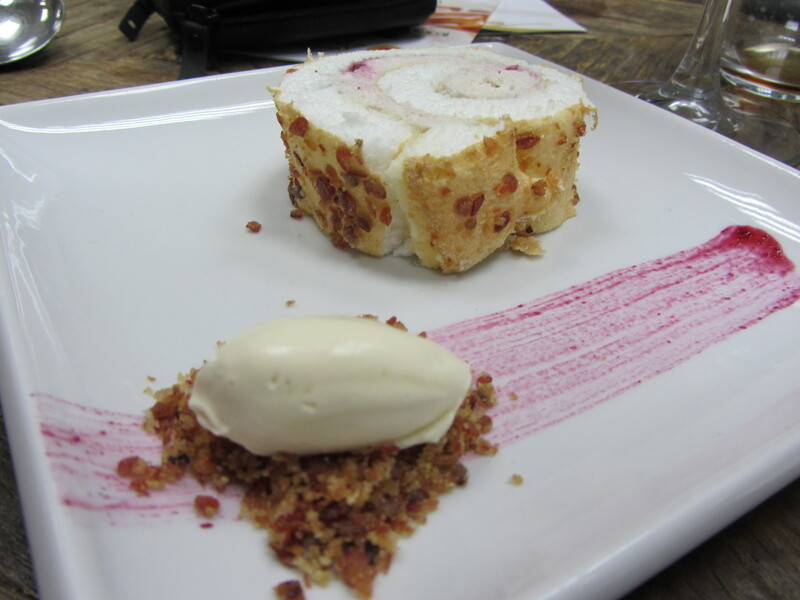 It was love at first sniff with the meringue roulade, a genius idea to have meringue baked and then rolled like a swiss roll. 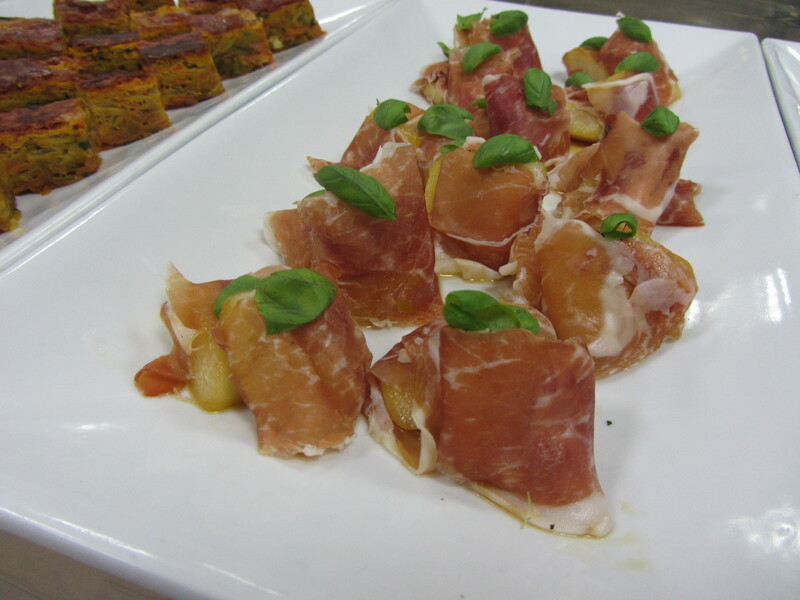 A palate party of eggs and berry cream, with crunchy pieces of sweet parma ham candy was playful. 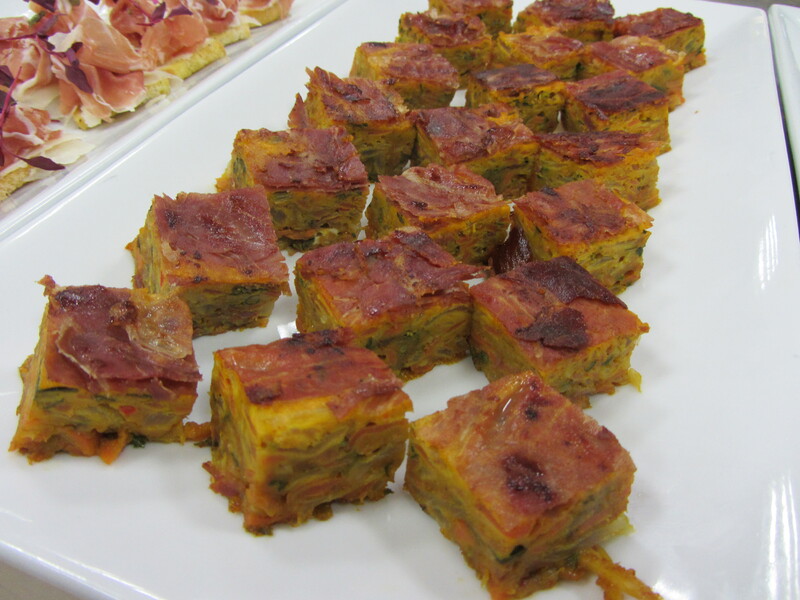 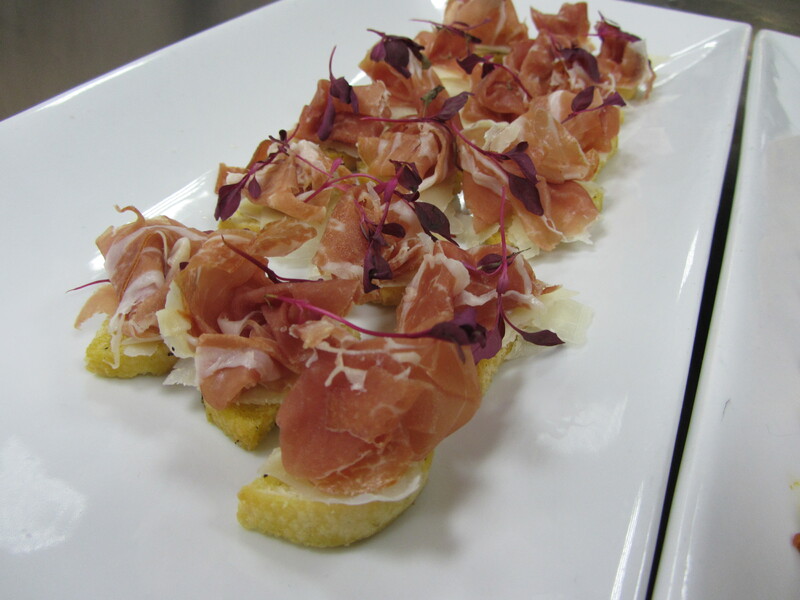 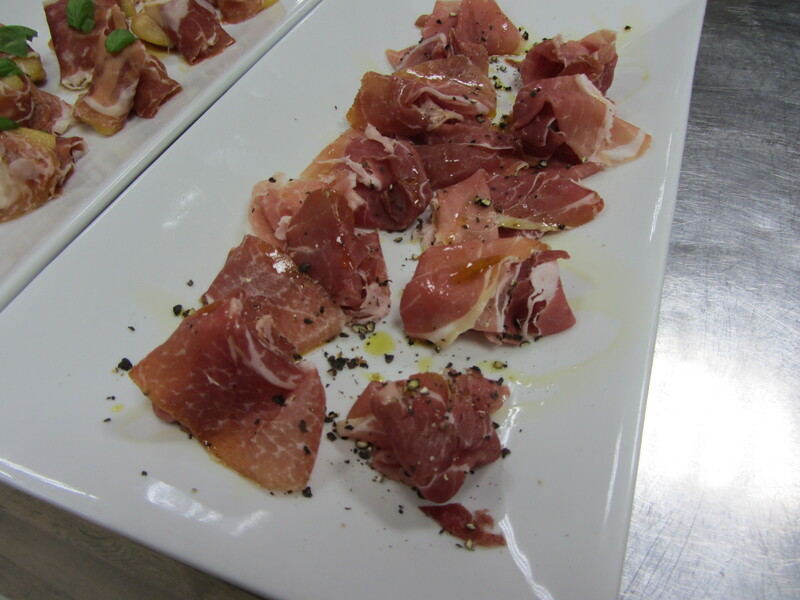 As you can see parma ham can be enjoyed and used in many dishes even for sweets and desserts.